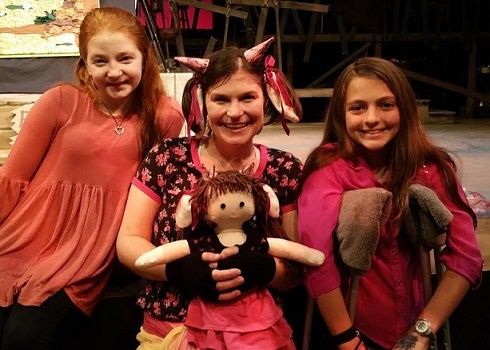 For more than 25 years Capitol City Opera Company has been bringing fun, laughter and excitement to school students throughout the Southeast. Last year we performed for more the 12,000 children throughout metro Atlanta and as far away as Macon, Americus, and Chattanooga. Each of our 45-minute shows addresses different life and social skills, as well as gives children a wonderful introduction to live opera. We use music to present complex ideas such as self esteem, teamwork, honesty - even scientific theory - in a fresh, accessible way. Our goal is that students leave with more than just a sense of classical music - they leave with a sense of themselves and how their actions can affect events around them. For booking or more information, contact Courtney Loner at 678.522.4338 or email cloner@ccityopera.org. To donate to our educational outreach program, just click on the DONATE link to the left. 1 show - $600; 2 shows - $825; 3 shows - $1,000. 1 show - $650; 2 shows - $825; 3 shows - $1,000.